Andre LaBelle is presently playing drums for Robert Fleischman (formerly of Journey), Horsehead, LaBelleBand, and B Side Electric. He is also involved with numerous recordings including sessions with Bill Leverty of FireHouse and bass legend Keith Horne. Andre also teaches drumming and lessons can be arranged by contacting him through his personal website at: www.andrelabelle.com or by contacting Richmond Music Center. Having lived ten years in Los Angeles as a session player, Andre has been honored to work with many artist, such as KISS guitarist Vinnie Vincent, Richie Kotzen, Michael Monarch of SteppenWolf, Chris Holmes, and Buckcherry's Josh Todd to name a few. He has also appeared in a variety of clinics and live settings including work on television and film. Ryan Lake grew up in Virginia and at an early age developed interest in playing the guitar. After high school he attended Virginia Commonwealth University to study music, but yearned to play in a band. In late 2001, he joined Alabama Thunderpussy which soon thereafter was signed to Relapse Records. Atp toured on their own and opened for national acts such as Clutch, Gwar, Lamb of God, obituary, and Corrosion of Conformity, to name a few. 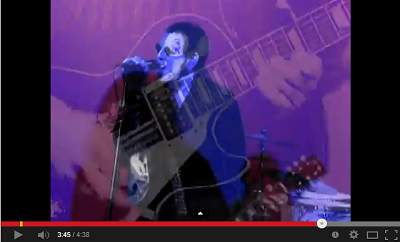 A new video is out paralelling the completion and release of it's album "MAJESTIC", Boomerang2.